People really do like Mike! The $15,000 goal for the “I Like Mike” fundraiser in support of the LongRun Thoroughbred Retirement Society has already been surpassed. The campaign was launched earlier this summer by Jim Phillips, owner of Mike, an off-the-track-Thoroughbred headed to this year’s Thoroughbred Makeover in October. Phillips pledged to match donations up to $15,000, but now he has upped the ante to $20,000. Phillips said he’s not surprised how generous people have been. He said, “What has surprised me is the broad support from the Thoroughbred organizations – kudos to Vicki Pappas at LongRun for that. My expectation is that we will raise $60,000 to $65,000 by the time this finishes up. When Jim Phillips was gifted with a retired racehorse named Mike, he wanted to share his good fortune. He could think of no better way than by raising money to support other retirees that have given their hearts and souls to the sport of racing. A huge fan of the breed, with several others off-the-track, Phillips also wants to spread the word about how versatile Thoroughbreds are, and encourage others to give them second careers. 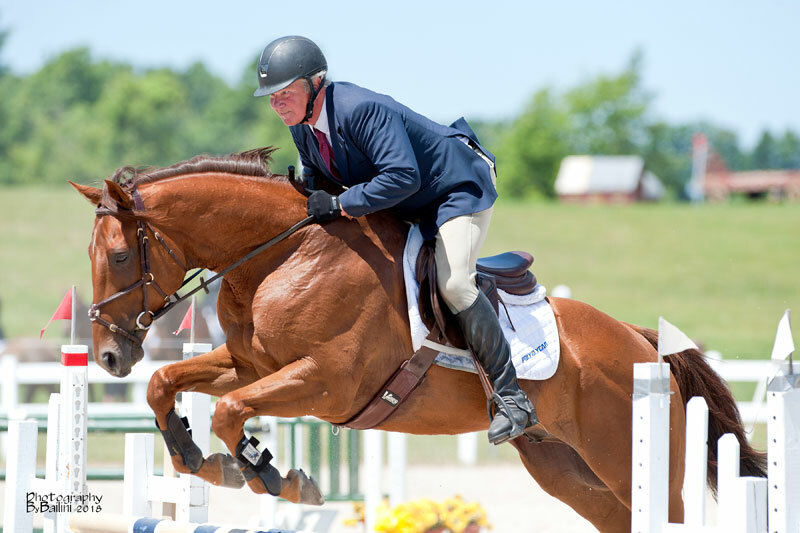 Phillips has entered Mike in the 2018 Retired Racehorse Project’s Thoroughbred Makeover challenge, which showcases the abilities of off-the-track Thoroughbreds, each with 10 months or less of retraining, over three days of competition in 10 different disciplines. This year’s event, presented by Thoroughbred Charities of America, will take place October 4-7 at the Kentucky Horse Park. The winner will be named America’s Most Wanted Thoroughbred and take home a share of the $100,000 prize. In the lead up to the event, Phillips is conducting a fundraising campaign called “I Like Mike” to support the LongRun Thoroughbred Retirement Society. He has pledged to match donations up to $15,000 made between now and the first week of October. The money will support the charity, which is currently caring for more than 50 retired racehorses. Mike came to Phillips last fall, from owners Dr. Moira Gunn, her husband Marv Chantler and Hugh Sutherland. 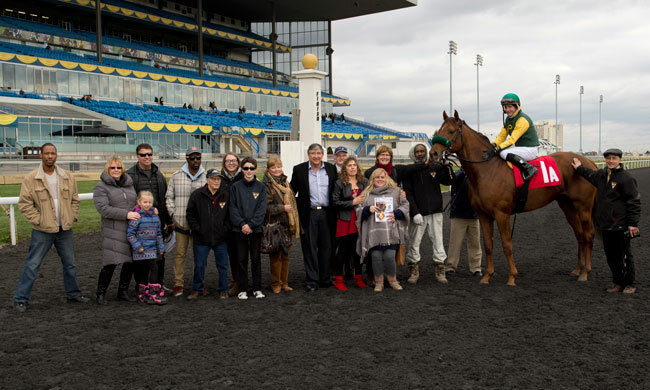 The namesake colt of the late Dr. Michael Colterjohn of Gardiner Farms, and full brother to superstar Pender Harbour, broke his maiden in his first career start, on November 29, 2015. He raced only eight times, with his final race on June 25, 2017. 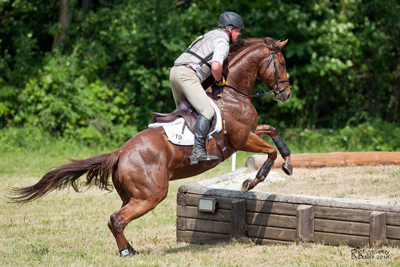 Since partnering with Phillips, Mike has shown talent as a jumper and an eventer. As such, he is entered in these two sections of the Makeover competition. This will be the first time Phillips has participated in the event. He is optimistic about Mike’s chances, saying, “He is a very impressive physical specimen that is very well balanced and moves very well – but the best thing about him is his brain and attitude. He is very laid back, he wants to please and responds to training very well. His racetrack trainer John Leblanc did an outstanding job, and he came to us with impeccable manners and extremely well broke. Phillips said he proposed the idea fundraiser because, he said, “The owners graciously gave me the horse at no cost I wanted to find a way to give something that recognized their generosity. LongRun chairperson Vicki Pappas is thrilled about the campaign. She said, “LongRun is blessed to have so many generous supporters, but to have a gentleman like Jim Phillips step forward with a fundraising campaign that he himself structured is a blessing to us and our 50-plus horses. Not only is he bringing awareness to the versatility and value of the OTTB, through his grand gelding, Mike, he is helping other retired Thoroughbreds enjoy life after racing by matching donations up to $15,000 made to the “I Like Mike” campaign.